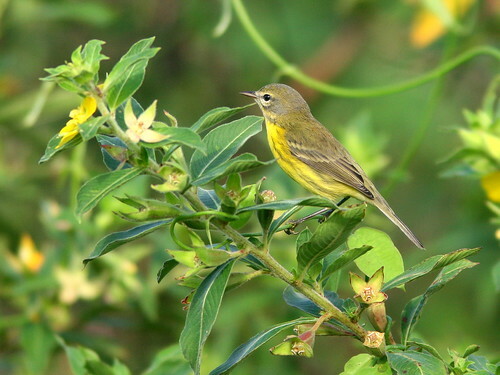 Last week, I encountered a flock of migrants in a small wooded area in the mitigation wetlands next to our home. I returned from my morning walk with lots of photos. Mary Lou had stayed home and missed the fun. As she reviewed the downloaded images, she seemed less impressed with some of my more colorful finds. This photo made her want to re-connect with an old friend. 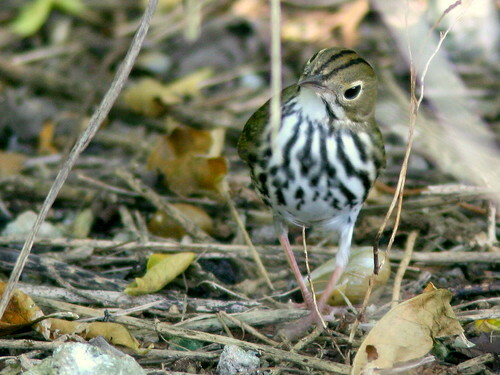 She had missed seeing an Ovenbird the past couple of years (and come to think of it, so had I), until that morning. She actually prodded me to get out early the next day to look for that bird! As a kid I dreamed about marrying a girl who loved watching birds and didn’t mind getting out early to a landfill, or peeing in the woods. That didn’t happen, that is, until Mary Lou’s “epiphany” when, in 1999 on our first birding Elderhostel in southeastern Arizona, she saw the Elegant Trogon and suddenly started watching birds. I was reminded of that day (How Mary Lou Became a Birder). I should have welcomed her enthusiasm, but I actually felt a little relief when it rained briefly at around 6:00 AM on Sunday morning. I was ready to veg out, read the paper and watch the Dolphins win their second game (which they did). The rain stopped, the skies cleared and the sidewalks quickly dried out. At about 7:30 AM we walked the quarter mile along the unpaved western extension of Miramar Parkway to our little patch of recovering Everglades. The developer of our subdivision was required to set this land aside to make up for the scars our homes had inflicted on the great River of Grass. We call our “patch” the West Miramar ESL (for Environmentally Sensiteive Land). Officially, under the Army Corps of Engineers Comprehensive Everglades Restoration Project (CERP), it is part of the extensive Broward County Water Preserve. We approached the canal that runs along the western border of our development and forms the near side of the ESL, and were struck by the silence, Not even the mockingbirds were singing. 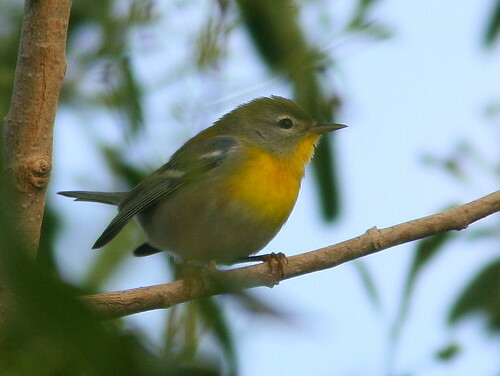 Where, on the previous day, warblers had streamed along the line of small Live Oaks aside the road, we saw no birds. 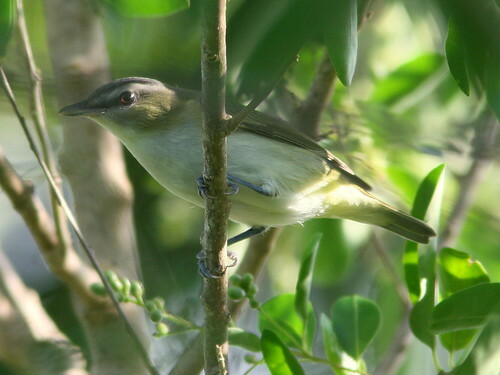 As the sun warmed up the trees and the butterflies and other insects started coming alive, a few mockingbirds and a pair of cardinals appeared in the shrubs, and two or three Blue-gray Gnatcatchers moved into the oaks. 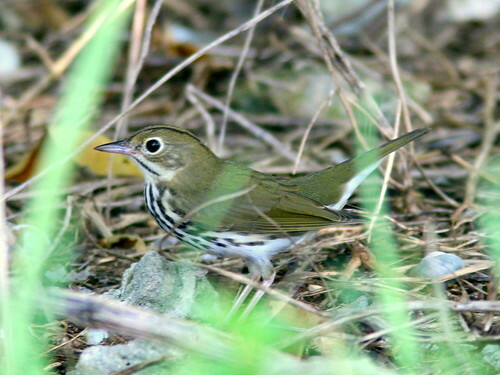 For almost an hour, we waited for an Ovenbird to stick its head out from the underbrush. 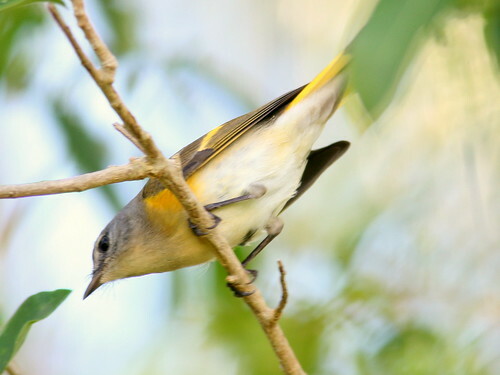 Mary Lou decided she had better things to do at home and left me there, alone, with the admonition to the Ovenbird that it better not show up right after she left. It didn’t, so I wandered around to the levee that runs to the south along the west side of the 196th Avenue Canal. It is overgrown with tall grasses, so the sight distance along the two-track path atop it is quite limited. 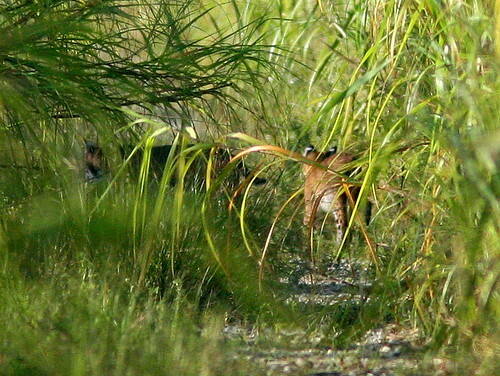 As usual, I approached the edge of the path quietly, for it is sometimes used by birds such as Common Ground Doves, as well as mammals, including Marsh Rabbits, Raccoons, deer, and twice, Bobcats. 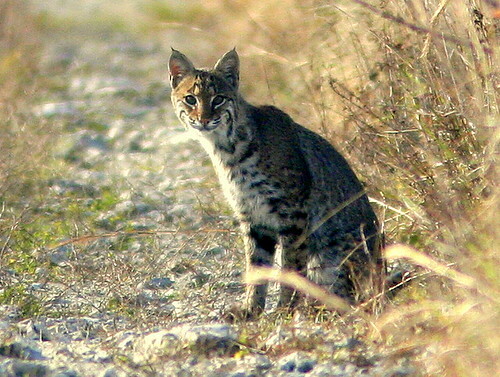 The Bobcat did not see me immediately, but when it did, it merely got up and slowly walked away down the path, stopping now and then to look back at my immobile figure. 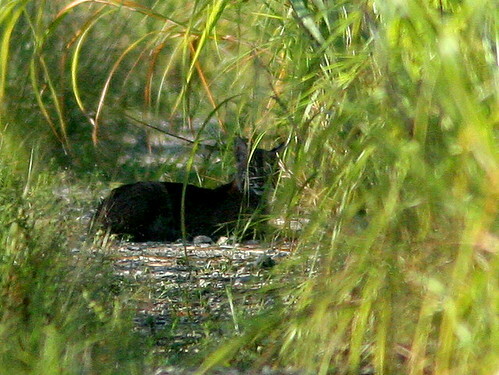 Then, I was treated to an even greater surprise– two more Bobcats appeared out of the grass. They were more brightly marked than the first cat, and appeared a bit smaller and leaner. One of them playfully jumped in the air, perhaps chasing dragonflies or butterflies. I assumed they both were cubs. I never thought to change from automatic to manual focus, so most of my photographs were focused on grass blades that arched over the path between me and the subjects.